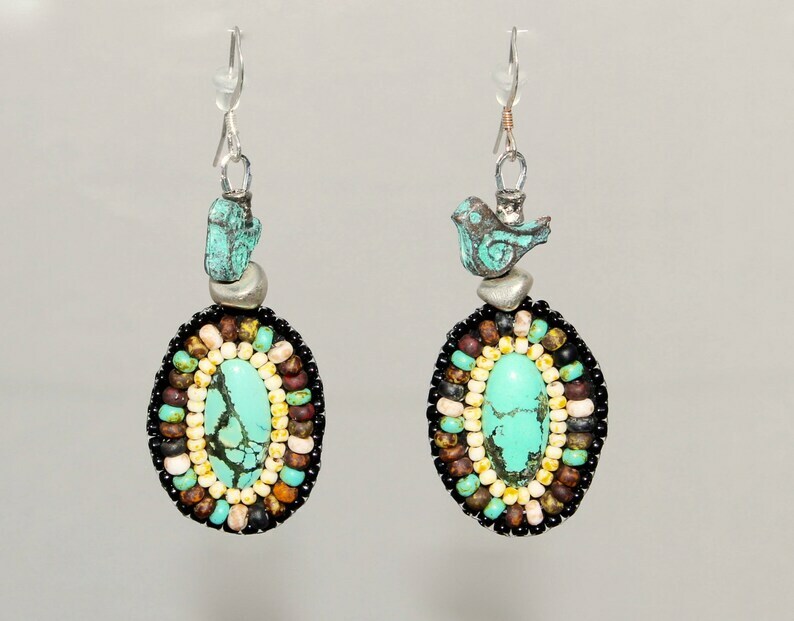 These beautiful earrings feature a oval shaped African Turquoise outlined in earth tone Picasso seed beads. A sweet turquoise Mykonos Greek bird charm sits on a silver plated bead just above the gem. Each earring is hand beaded and backed in Ultra Suede.